Summer is full of fun events. Fun and relaxing as the events themselves can be, they often make for busy schedules and rushed meal times. Summer, then, is a time for simple meals. When you’re searching for a simple meal or a quick, fancy appetizer to bring to a party, it helps when the most complicated steps have been completed ahead of time. Sometimes that means doing them yourself–freezing a pie-crust ahead of time to make a delicious quiche, chopping and roasting vegetables during a free moment on the weekend, or preserving the peaches you will serve over ice cream for a simple and satisfying dessert. Sometimes it means turning to food producers you trust and knowing that they have taken care to complete steps ahead of time using natural processes. In the case of Conebella Farm Cheese spreads, complicated, highly specialized steps have been completed ahead of time to make a rich, creamy ingredient that adds incredible flavor to your summer meals and party foods. In March, I talked with Lisa Ferraro Klinge, cheese spread maker for Conebella Farm Cheese and owner of Taste Artisanal Market in West Chester, about what steps are involved in making Conebella Farm’s delicious cheese spreads. She told me she uses a cold process. While the average cheese spread you would find in a grocery store gets pasteurized and broken down to form a cheese spread, Conebella Farm Cheese is preserved in its natural state and does not have any preservatives. The resulting product is at least 65% cheese, instead of the heavy dose of cream cheese you would find in grocery store cheese spread varieties. So, this summer, relax and use the many varieties of Conebella Farm Cheese spreads to make elegant meals and tasty appetizers. There are many ways to do this– spread Conebella Farm Jalapeno Cheddar Spread on tortillas as an easy, gourmet addition to burritos or fajitas. Or, try a Gable family favorite and heat jalapeno cheese spread mixed with fresh salsa and serve with tortilla chips! 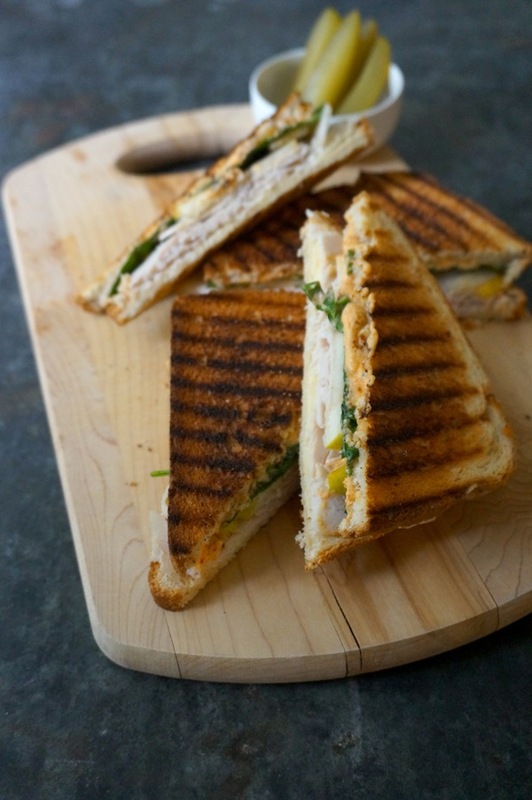 Or, spread jalapeno cheddar on some hearty wheat bread, add cheddar, pear, turkey and spinach, and grill or toast the sandwich for a classy lunch to enjoy with friends. 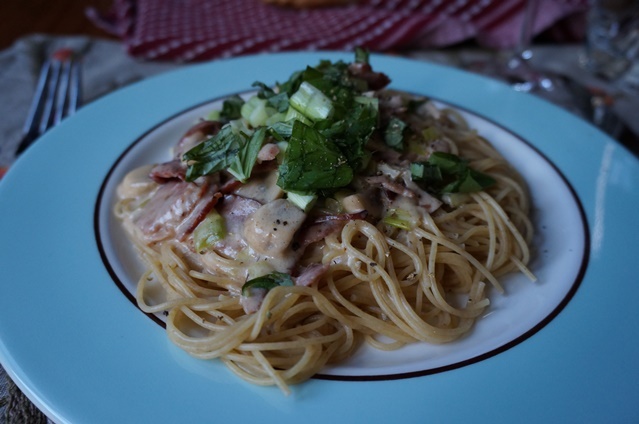 If the occasion calls for a hearty meal, this Cheddar, Bacon and Mushroom Pasta will definitely do the trick, and it invites invention. Try mixing in a few spoonfuls of jalapeno cheddar, adding sun-dried tomatoes or using cooked chicken. Melt butter in a medium saucepan or skillet and saute the garlic and bottom portions of the green onions. Cook for 3 minutes, then add mushrooms and cook until all ingredients are soft. Clear a space in the center of the pan and add flour and allspice, mixing them until combined. Lower heat. Add a third of the milk and a third of the cheese. Stir frequently until cheese is melted. Repeat until all the cheese is added and has melted. Add cooked turkey bacon, spoon mixture over pasta and sprinkle with top portions of green onions, basil and freshly ground pepper. Slice the pickles into circles. 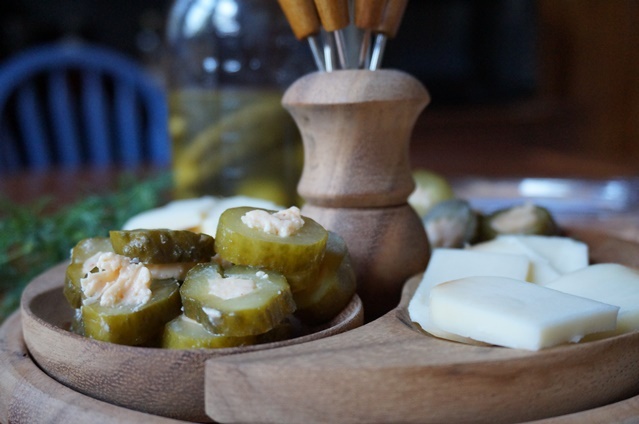 Scoop out the center and spoon cheddar cheese into the middle of each pickle. Done! And so dainty! 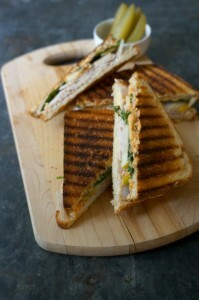 And of course, Conebella Farm Cheese spreads stand alone. A dab of cheddar cheese spread on a cracker is true summertime bliss. Article written by Rebecca Talbot and coordinated by VanDuzer Design & Marketing for Conebella Farm and may also be syndicated on Fig: West Chester and Rachel’s Farm Table.